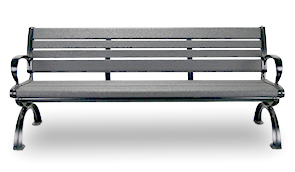 Create inviting, cosmopolitan seating atmospheres with Contempo-Crinkle Aluminum Park Benches. These aluminum benches are crafted with a sleek profile and modern design elements finished in an exclusive contempo-crinkle powder-coated finish. 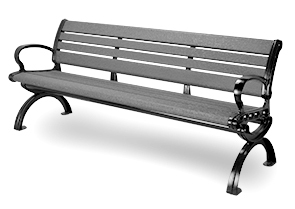 Constructed utilizing lightweight, corrosion resistant materials and a resilient, standout	finish, these 6' imported park benches offer sophisticated style with long-lasting performance, great for indoor and outdoor spaces.